Targeted support for children struggling with the Phonics Screening Check. 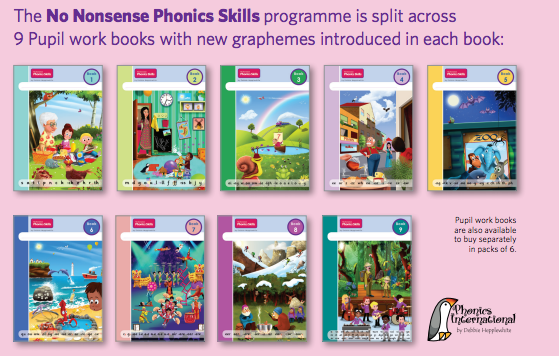 The No Nonsense Phonics Skills programme provides a logical step-by-step approach to teaching reading, spelling, handwriting and language comprehension. It guides the student and the teacher through a series of carefully designed systematic phonics routines to master the complex English Alphabetic Code. 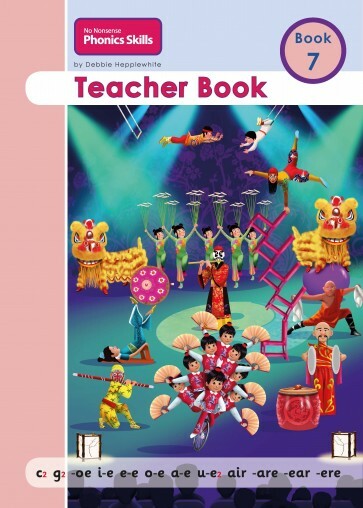 Each book is rich in content providing instruction and exercises with ‘cumulative’ code, words, sentences and texts, with an additional focus on language comprehension and on building up knowledge of ‘spelling word banks’. Provides guidance for entry points.